Cuxhavn passenger and car ferry ticket prices, timetables, ticket reservations and information for ferries sailing from Cuxhavn to Harwich. Compare all available Cuxhavn ferry ticket prices in real time and book the cheapest available Cuxhavn car and passenger ferry tickets sailing to and from Cuxhavn, Harwich with DFDS Seaways ferries online with instant confirmation. Book Cuxhavn Ferry Tickets with DFDS Seaways for ferries sailing from Cuxhavn to Harwich online in advance to enjoy the cheapest available ferry ticket price. The price you see is the price you pay. There are no hidden extras or surprises such as added fuel surcharges or booking fees and we do not charge you anything extra for paying with a Visa Electron card. The price we quote you for your selected Cuxhavn passenger or car ferry ticket, onboard accommodation and vehicle type is all you will pay, and that's a promise. To obtain a Cuxhavn ferry ticket price and book your ferry ticket securely online please use the real time ferry booking form on the left. You are also able to add a hotel at your destination, or anywhere else, to your ferry ticket when completing your ferry ticket reservation. Danish ferry operator DFDS Seaways offers between three and four weekly sailings between Cuxhavn and Harwich in England, with a journey time of 19 ½ hours. The ferries have extensive facilities onboard, including a pleasant outer-deck area, a number of bars and cafés, a selection of different cabins and business amenities. These vessels can accommodate both passengers and vehicles. The facilities at Cuxhavn port aren't extensive, though you will find a convenience store and a number of vending machines selling hot and cold refreshments. Passengers with disabilities are advised to contact DFDS ferry operator prior to travel, if they have any special needs. There are a number of cabins for those with disabilities, while the ferry terminal building is wheelchair accessible and has disabled toilets. Cuxhavn was part of Hamburg; in a reorganization two towns near Hamburg that were part of Prussia were given to Hamburg in exchange for Cuxhavn. Cuxhavn isn't a very large city. It still can boast roughly 3 million booked nights a year, making it one of the largest seaside resorts in Germany. Most people come to Cuxhavn either via train or car. 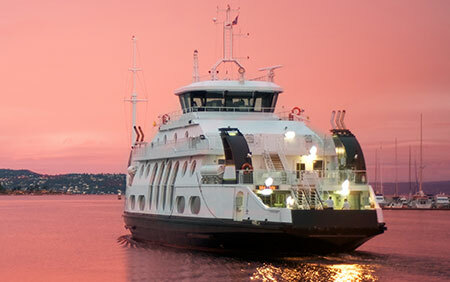 Some ferry services exist, but they are overall negligible. Tourism is one of the traditional businesses of Cuxhavn. The other two are the fish industry, and the harbour. The city is trying to expand the latter and has invested a lot of money in the modernization and expansion of the port facility. Still, the economic situation isn't all too good and tourism remains the major industry of the city. Many people have left Cuxhavn in the past decades to settle elsewhere. Many of those who remain are retired, contributing to the small, quiet town ambiance. Cuxhavn is a quiet place. If you're looking for action and parties, it's probably not the right destination. If you're looking for a quiet city by the sea, Cuxhavn becomes a much more interesting choice. Alte Liebe (Old Love) is a former quai turned viewing platform at the entrance to the Cuxhavn harbour. Good view of passing ships. Loudspeakers announce their names and origin. Schloß Ritzebüttel Small castle-like building near the Nordersteinstraße shopping area. The Kugelbake marks the geographic point where the Elbe river ends. Originally intended as a navigation aid, it is one of the more notable constructions in the region. It was incorporated in the Cuxhavn coat of arms when the city was incorporated and remains one of its primary landmarks. Semaphor Located next to the Alte Liebe, the Sempahor is a construction from the year 1884 that is used to communicate wind strength and direction to passing ships. It is still set every day. Wrackmuseum (Ship Wreck Museum). Dorfstraße 80, Stickenbüttel. +49 4721 23341 (fax: +49 4721 690876). Open March 28th to November 4th (in 2004, may vary each year), Mon closed, Tue-Fri 10AM - 6PM, Weekend + Holiday 10AM - 5PM. Only museum in Europe that has ship wrecks as its topic. € 3.00 for adults, € 2.00 for teenagers. Beaches This is the area of the sea where the water recedes during low tide. It's one of the main reasons why people visit Cuxhavn. You can take walks, look at crabs, build castles from the sand and the mud, and so on. Be warned that the rising water can be tricky! You have to pay for entering the beach! If you like pay-free beaches you have to travel a few miles to the north and try the coastline of Schleswig-Holstein. Best Price Guarantee - We always offer you our lowest available DFDS Seaways passenger and car ferries ticket price to and from Cuxhavn. There are no hidden extras or surprises such as added fuel surcharges or booking fees and we also we do not charge you anything extra for paying with a Visa Electron card. The price we quote for your selected Cuxhavn ferry ticket, onboard accommodation and vehicle type is all you will pay, and that's a promise! In the unlikely event you find the same all inclusive Cuxhavn ferry ticket cheaper in the brochure of any other tour operator we promise that we will do our best to beat that price or offer you the choice of requesting a refund. To book Cuxhavn car and passenger ferry tickets please click here. At ferryto.co.uk you are able to obtain live Cuxhavn ferry ticket prices, check availability and book car and passenger ferry tickets to and from Cuxhavn at our lowest available ticket price. Ferryto.co.uk is part of the world's largest online ferry ticket distribution network providing the ability to book over 80 major European ferry operators including to Cuxhavn and to over 1,200 other ferry routes throughout the UK, France, Spain, Ireland, Holland, Eastern Europe, the Mediterranean, the Baltic and North Africa.